Woman Sitting At Airplane And Looking To Mobil Phone. Royalty Free Fotografie A Reklamní Fotografie. Image 52082765. 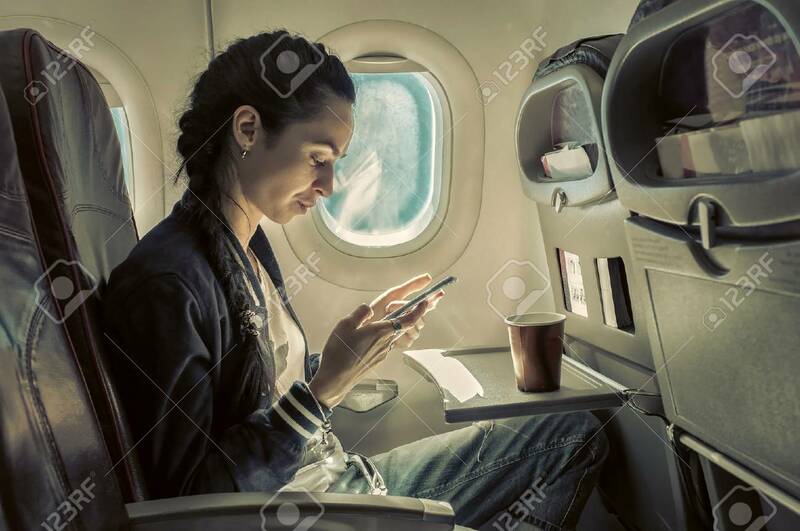 Reklamní fotografie - Woman sitting at airplane and looking to mobil phone.